Enjoy some of the most popular classical music, musical theatre and pop music in the stunning setting of Chetwynd Deer Park. Tier 1 tickets and VIP tickets on sale now – the earlier you book the more you save! Our tiered pricing system means the earlier you book, the more you save! Each tier includes entry and free parking, but closer to the event, the price rises. We only have a limited number of tickets in Tier 1 and Tier 2, so don’t miss out! 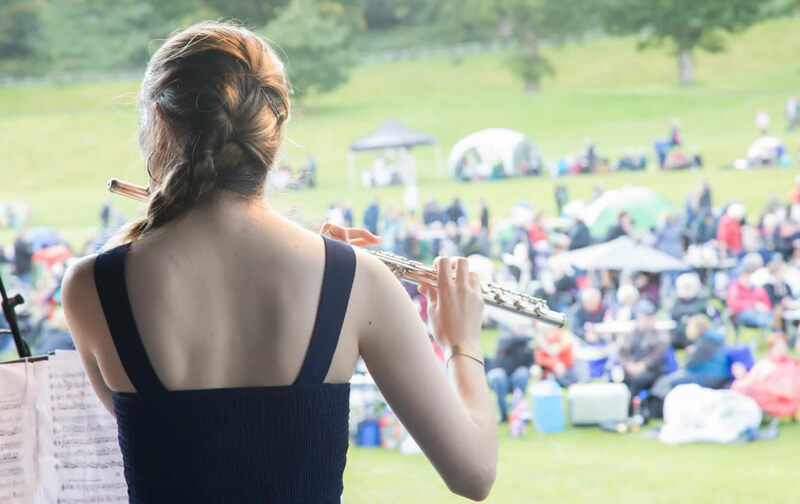 Enjoy some of the most popular classical music, musical theatre and pop music in a stunning outdoor setting amongst the serene lake and ancient trees of Chetwynd Deer Park. Bring the children, parents and grandparents for a relaxed afternoon and evening filled with beautiful music reminiscent of a night at the Proms. 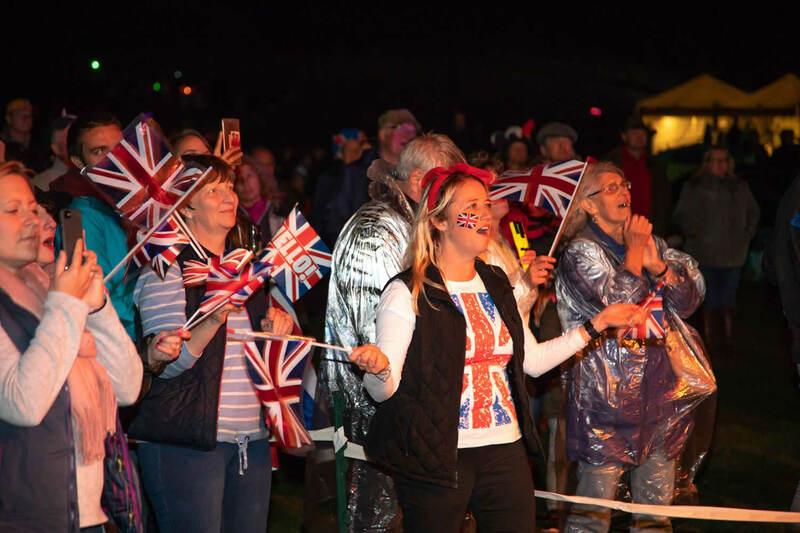 A festival of music, food and fizz, featuring some of the best talent across the country, supported by local acts culminating with a Last Night of the Proms style finale. Bring your own picnic hamper and drinks or buy delicious hot food from our local suppliers and street food vendors. With a bars, gourmet coffee stall and lots of food options there is something for everyone. Look our for more details of this year’s performers on our website and Facebook page. New for 2019! A limited number of pre-erected gazebos are available to hire for the duration of the event. Gazebo bookings open 9 February and are charged separately to admission tickets. With the exception of assistance dogs, we are not able to permit dogs at this event. “It was brilliant, lots of young children with families, all ages sharing the experience. In a spectacular setting surrounded by ancient woodlands and lake. A swathe of red white and blue flags, folding tables and chairs, food, candelabras, lanterns and fairy lights, some people wearing bow ties and suits or flowing dresses most like us in wellies and ponchos. An arena of happy smiling faces, the finale a joyous crescendo. Well done Fizz!